One of the more elusive skills in this White House is the ability to communicate effectively with President Trump. It's no secret he likes things short, simple, graphical. Someone who was doing it all wrong (although better lately), according to colleagues, is national security adviser H.R. McMaster. It's one of several reasons the two men often don't click. McMaster has briefed in a certain way his whole career: crisp, linear, dry, like a good military man, and leaves nothing to chance. The formality doesn't work with Trump, who sometimes simply tunes McMaster out." Can you believe this guy?" he once asked in a joking-not-joking tone. What doesn't work: Sources who've watched McMaster in action say he over prepares to brief the President. He knows the outcome he wants and wants to stick rigidly to his plan. But Trump likes to be discursive and will frequently turn to others or meander into other subjects while McMaster is briefing him. When Trump finishes his riff, McMaster will often return precisely to the point he left off. This bothers Trump, who has openly wished for the return of Michael Flynn, who was more spontaneous. Lately, McMaster has started to adjust by making shorter points and a more colloquial tone, according to colleagues. He can be hilarious when telling war stories to his staff, but always transforms into a stiffer guy when he's running a meeting or briefing a superior. But McMaster's disconnect with Trump extends beyond presentation, to policy. McMaster wants to solve problems with military solutions, and Trumps wants to make a deal. And McMaster has been among the top advisers who have been warning Trump that Putin is not to be trusted — part of the West Wing's divisions on the issue, AP reported. But, but, but: McMaster is still proving to be effective in some key moments. He got his way on troop increases in Afghanistan and on Trump's recent decision, against his instincts, to recertify Iran's compliance with the terms of the nuclear deal. While Trumps growls and sulks, he nevertheless seems to give into generals. But the relationship remains awkward. 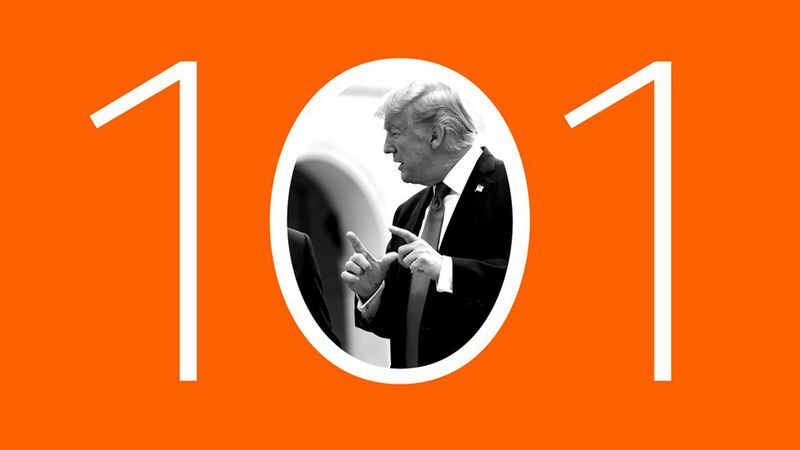 What works: A more successful approach with Trump is a more conversational, anecdotal style with lots of references to him — his theories and beliefs, things he has said in the past. Dina Powell, the deputy national security adviser, has been especially adroit at this: She gets the same place McMaster would go, but does it in a personal, leisurely style that engages the boss. Ditto with Gary Cohn, who goes with the conversational flow, and Treasury Secretary Steven Mnuchin, who'll say when talking about Chinese currency manipulation, for instance: "But that was before you were on the world stage." Trump is all ears.